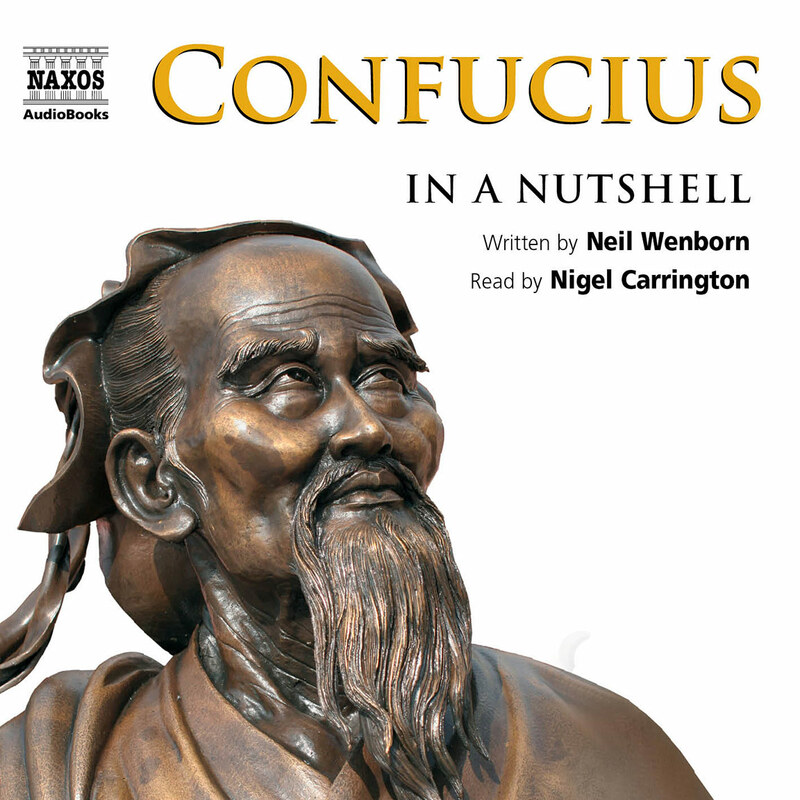 ‘In a Nutshell’, the new 1-CD audiobook series from Naxos AudioBooks, continues with a fascinating history of Tibet. Part of China for many years, yet with a clearly distinctive culture (with the central devotion of its people being to Buddhism and the Dalai Lama), Tibet has a unique character in the panoply of world nations. 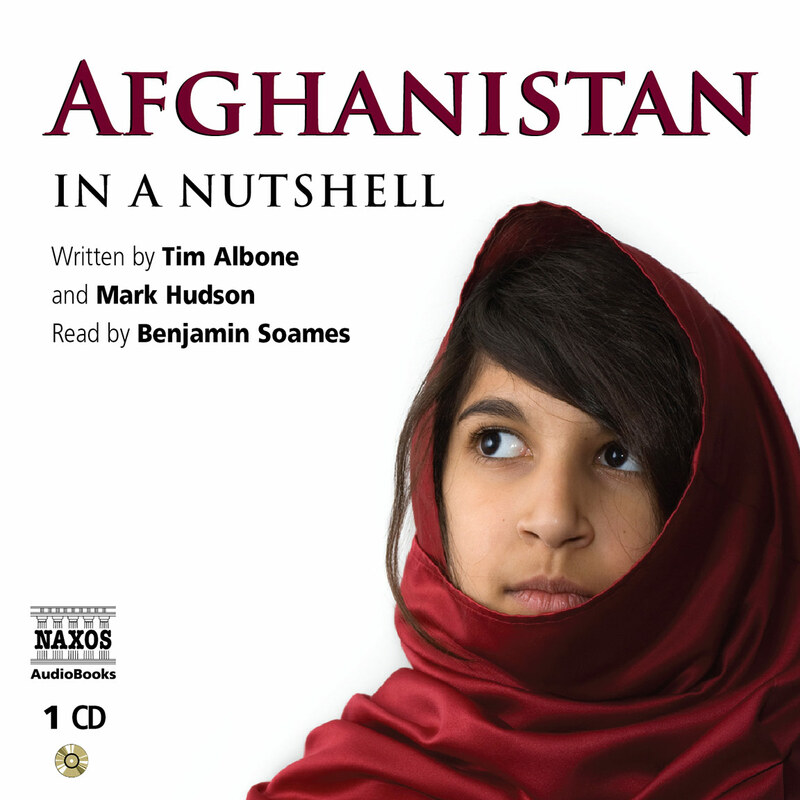 Here we have an independent view of its history and the customs and beliefs of its people – and a commentary on the current situation. 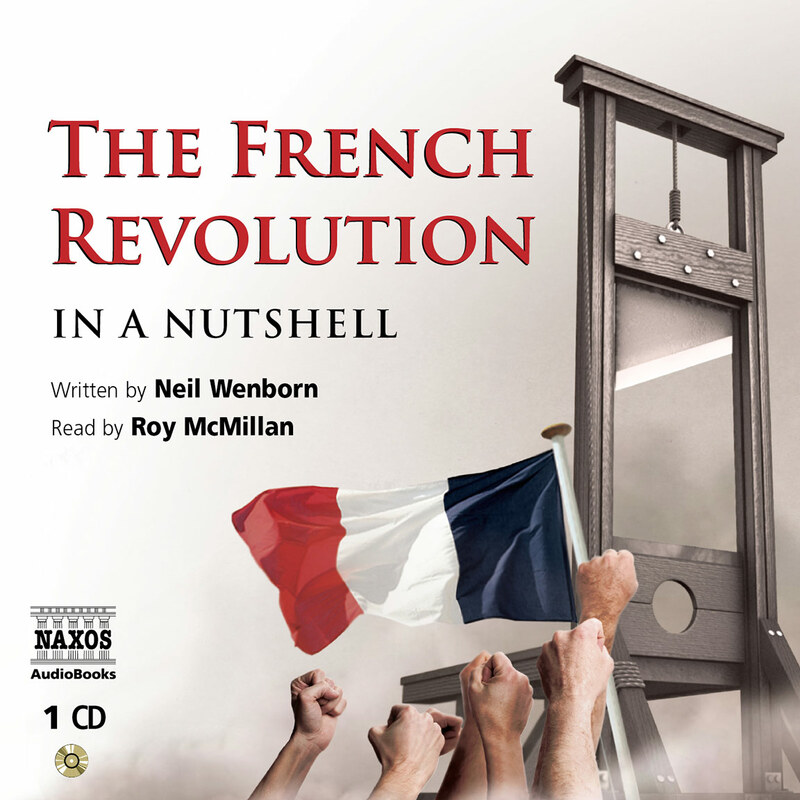 I’m becoming addicted to this Nutshell series, which for someone who regularly rails against audiobooks being abridged sounds inconsistent. It isn’t. 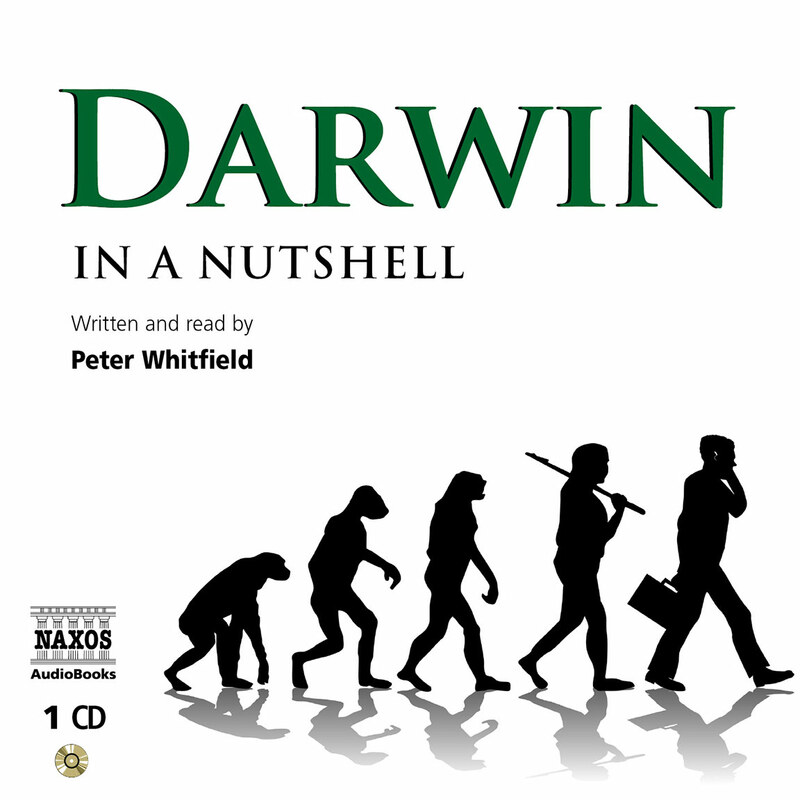 These informative little gems are specifically written for a single CD (we’ve had Afghanistan, Darwin and karma so far, the renaissance and French revolution are on their way), the idea being to whet your appetite for further study. 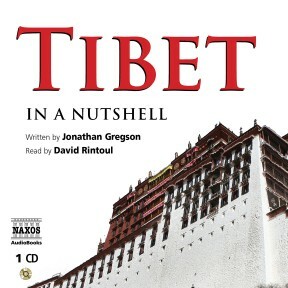 Gregson’s encapsulated overview of Tibetan history, geography, traditions, religion, politics and culture covers everything the well-informed tourist needs to know. Locked in by the highest mountain ranges on earth, Tibet’s nomadic tribes have retained their centuries-old lifestyle. They live on barley, yak’s butter and tea, wear shaggy woollen wraparound cloaks, embroidered hats with sheepskin ear flaps and yak-hide boots with turned-up toes. Yaks are to Tibetans what reindeer are to Lapps: food, clothing, transport, fuel. I’ve visited Tibetan lamaseries, where smiling monks wearing huge yellow bonnets like Widow Twanky offered tea laced with rancid yak’s butter, which they then used to polish the wooden floor. In the seventh century, King Songtsän Gampo declared Buddhism the national religion, and in the eighth century the frontiers of Tibet stretched from Butan to Xian in China. Buddhism took hold, but the empire was shortlived. Tibet was subsequently invaded by Mongols, Turks, British and Chinese. It is 40 years since the Dalai Lama fled the Chinese destruction and occupation of his country with little hope of reconciliation or return. Life, fate, has not been kind to the gentle Buddhists of Burma and Tibet. Tibet is a high-altitude “land apart”, home to snow leopards, holy mountains and centuries-old Buddhist monasteries. It’s presented here from its beginnings, through its long history of struggle, to its inclusion in China’s 1949 Great Motherland, then the 2008 demonstrations as Han Chinese have grown to become the majority in Tibet’s northern provinces. Tibet is a land like no other. For more than a thousand years Tibetan civilisation developed in a manner quite distinct from that of its largest neighbours, India and China, or any other society on Earth. Ruled over by a god-king, and with nearly a quarter of its people dedicated to the religious life as Buddhist monks or nuns, Tibet was a rare example of an entire society in which spirituality took precedence over more worldly matters. Encircled by the world’s highest mountains, and universally known as ‘The Land of Snows’, it remained physically isolated and deliberately aloof from the onward march of more materialistic civilisations. The few outsiders who managed to enter Tibet described it as ‘medieval’ and ‘otherworldly’. That state of affairs continued until 1950 when the Chinese Communists invaded and set about uprooting the country’s feudal society and superstitious values, in place of which they tried to impose state socialism, atheism, and their doctrine that Tibet had always been an integral part of China or – as they put it – ‘The Great Motherland’. This amounted to a complete inversion of the deeply held beliefs of the majority of Tibetans. Some co-operated with their new political masters in the hope of advancement, but most stuck to their traditional ways. When persuasion failed, the Chinese turned to harsher methods. Thousands of monasteries were emptied, their prayer halls, libraries and works of art destroyed. Monks and nuns were forced to marry each other. Those who refused to accept the new Communist values were subjected to public humiliation in ‘struggle sessions’. Thousands were imprisoned or executed. Unsurprisingly, Tibetans rose in revolt – first in the eastern province of Kham and then, during the spring of 1959, in what has become known as the Lhasa Uprising. The Dalai Lama, along with many members of his government and the most venerated of reincarnate lamas, fled the Land of Snows and sought refuge in India. There they were joined by resistance fighters and thousands of ordinary Tibetans who refused to collaborate with the Communist regime. For the last half century, close to 100,000 Tibetans have been living in exile – mainly in India, but also with smaller communities in North America, Western Europe and Australasia – where they have been free to practise their religion, establish monasteries or spiritual centres, and retain their loyalty to the Dalai Lama. Within Tibet, conditions went from bad to worse. Forced collectivisation of land, and the authorities’ insistence on growing crops ill-suited to Tibet’s harsh climate, resulted in man-made famines. Hundreds of monasteries were ransacked or dynamited during the Cultural Revolution. Although subsequently some monasteries have been restored – either with state aid or through the private donations of pious Tibetans – any manifestations of loyalty to the Dalai Lama or demands for civil freedoms have been met with clampdowns by the authorities. Thousands of monks, nuns, and ordinary Tibetans who dared to protest have been imprisoned and tortured. And while China has invested heavily in Tibet, modernising its physical infrastructure and bringing about material progress, most of the benefits have gone, not to native Tibetans but to the waves of Han Chinese immigrants who now form the majority of the population in cities such as Lhasa and Shigatse and effectively control the economy. With a new railway linking central Tibet with China, many fear that Chinese settlers will swamp the indigenous population and that Tibetan culture, already marginalised or treated by the authorities as a museum-piece to attract foreign tourists, will wither and die. For several decades now, many Tibetan families have sent their children on a perilous journey over the Himalayan passes to be educated in the Tibetan language and learn about their Buddhist traditions among the exiled community in India. Many monks and high lamas – most famously the teenage Karmapa, recognised by both Beijing and the Dalai Lama – have likewise fled in secret so that they could practise their religion freely and receive spiritual teachings from gurus and scholars living in exile. Given the scale of destruction of monastic libraries within Tibet, and the disappearance or corruption of orally-transmitted teachings that had been specific to a particular monastery or lineage of reincarnate lamas, the core values of Tibetan civilisation are now probably better preserved among the exiled community than within the Land of Snows itself. The great monasteries of Ganden, Sera and Drepung have been re-founded in the South Indian state of Karnataka, where thousands of Tibetan exiles have settled in kibbutz-style communities. 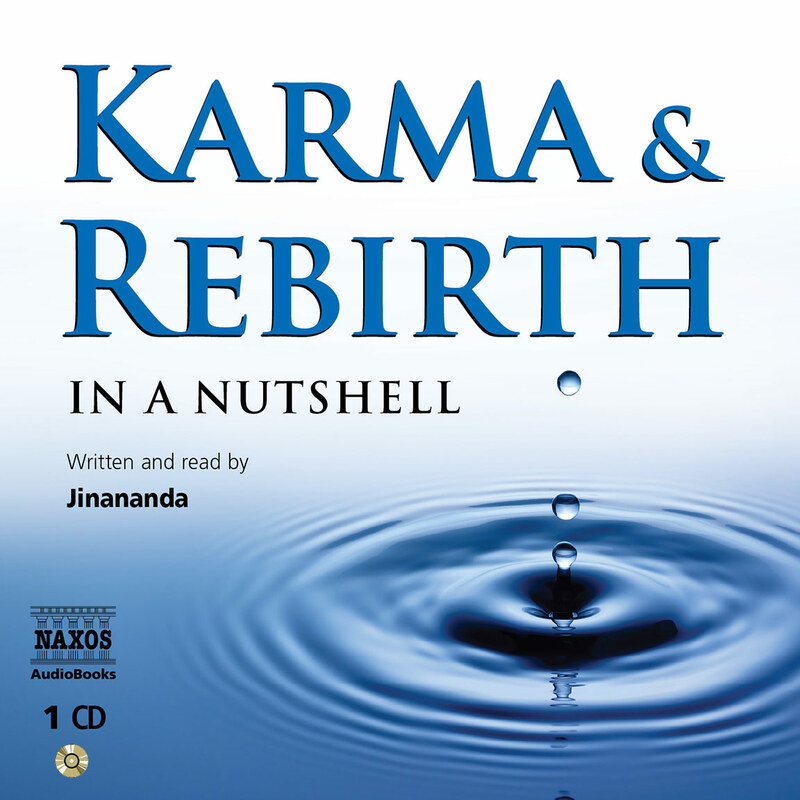 And the success of Tibetan Buddhism in transforming itself from a localised and esoteric cult into a truly world religion, with monasteries and spiritual centres spread across all five continents, should ensure that the spiritual genius of Tibetan civilisation will survive, no matter what happens within the country itself. Naturally there are concerns that some aspects of exiled Tibetan culture will become diluted or contaminated by that of the host nation. Even scholar monks holding disputations in India are occasionally known to substitute words in Hindi for the correct term in Tibetan. Likewise, artists decorating temples or painting devotional scrolls, known as tangkas, are increasingly introducing Indian or Nepalese motifs and techniques. In monasteries or meditation centres set up in the West, some of the more specifically Tibetan or esoteric aspects of spiritual practice have been watered down, thereby rendering the core teachings more palatable to American or European acolytes. Nonetheless, the genius of Tibetan civilisation lives on under an alien sun. Whether it will ever be resurrected in the Land of Snows depends as much on political developments within China as it does on the determination of ordinary Tibetans, in exile or at home, to maintain their unique culture.